Silver Airways presented to the Okaloosa County Aviation Board with its proposed plans to start daily nonstop service between Orlando International Airport (MCO) and Destin-Fort Walton Beach Airport (VPS) located at Eglin Air Force Base on May 17, 2019. Top Copyright Photo (all others by the airline): Silver Airways ATR 42-600 F-WWLC N405SV (msn 1403) FAB (Antony J. Best). Image: 942875. 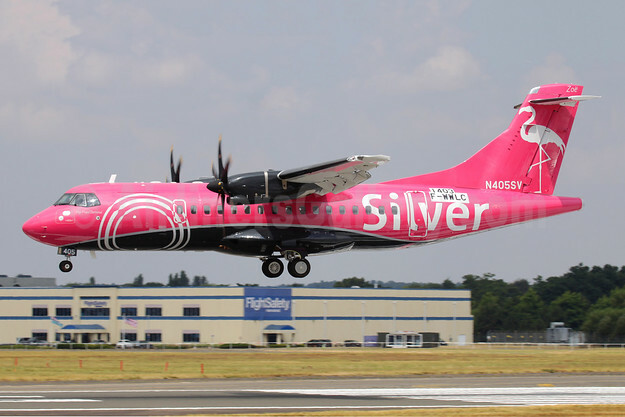 This entry was posted in Silver Airways and tagged ATR 42-600, F-WWLC, msn 1403, N405SV, Silver Airways on February 12, 2019 by Bruce Drum.